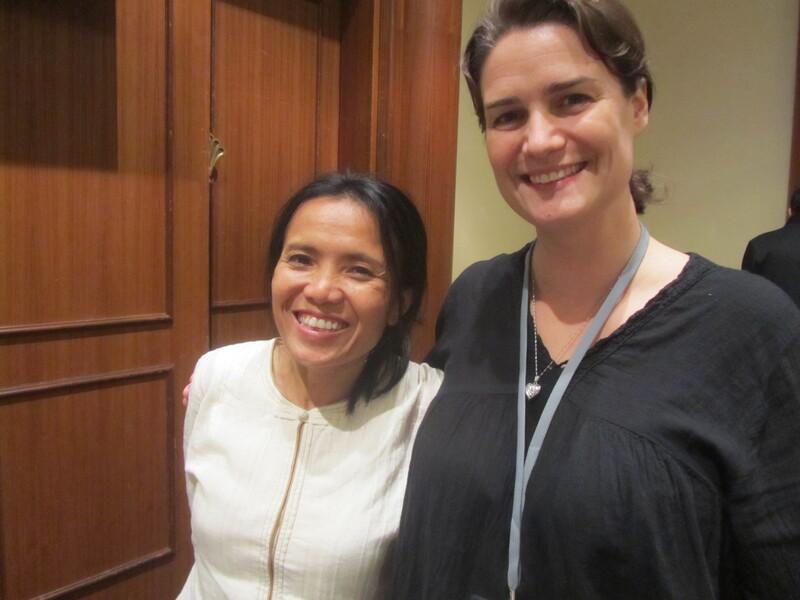 In January, I was lucky enough to travel with Lek Chailert, the founder of Elephant Nature Park and Save Elephant Foundation, to Singapore to participate in the Asia for Animals conference. Knowing that Mindy and I were interested in opening an animal sanctuary, Lek invited me to go with her so that I could learn as much as I could and meet others who are interested in the same. I indeed learned a lot about sanctuaries and animal rights in general and my accumulated knowledge will definitely prove useful when running our own sanctuary. 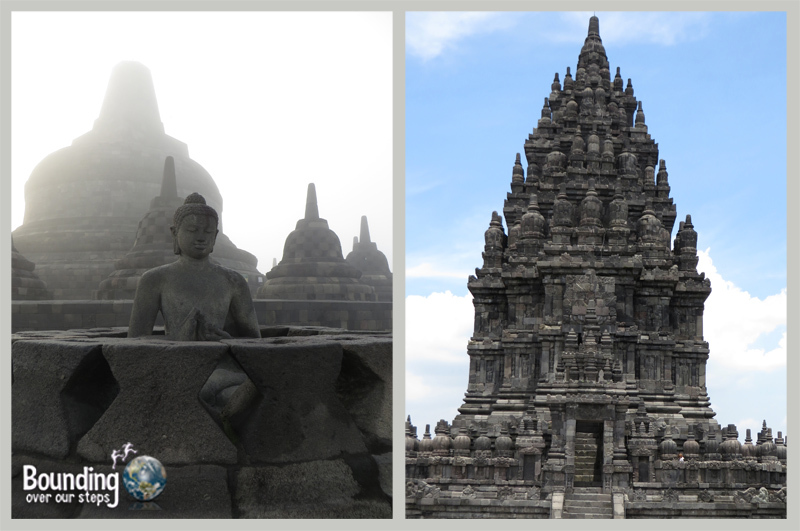 We spent the month of March exploring Indonesia, focusing on Java, Bali and the Gili Islands. 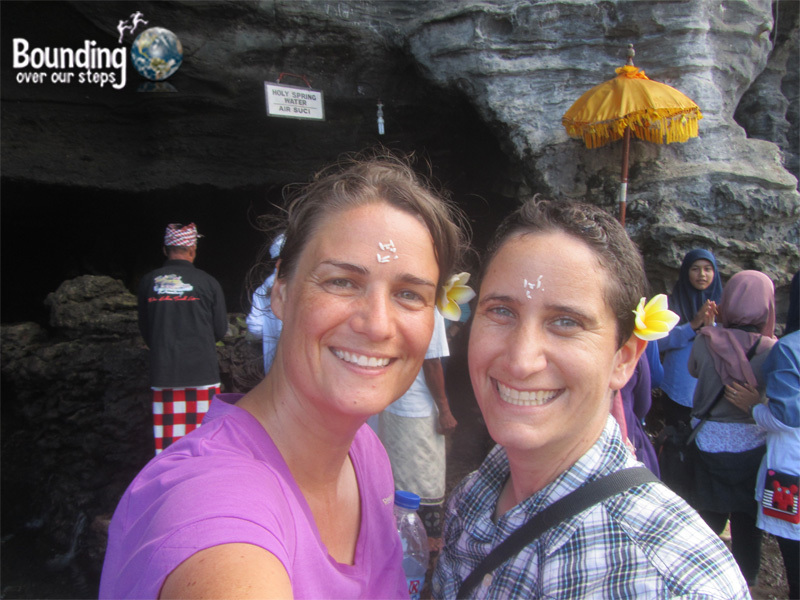 The highlights of our time on Java included visiting Obama’s elementary school in Jakarta, visiting the ancient Buddhist and Hindu ruins of Borobudur and Prambanan, respectively, near Yogyakarta as well taking the train across the entire island. The island of Bali, a place I had wanted to visit since studying Balinese gamelan in college, gave us the opportunity to celebrate the Balinese New Year as well as snorkel and scuba dive near Pemuteran in the north. We also enjoyed the height of Balinese culture in Ubud and visited several temples and beaches of the south. 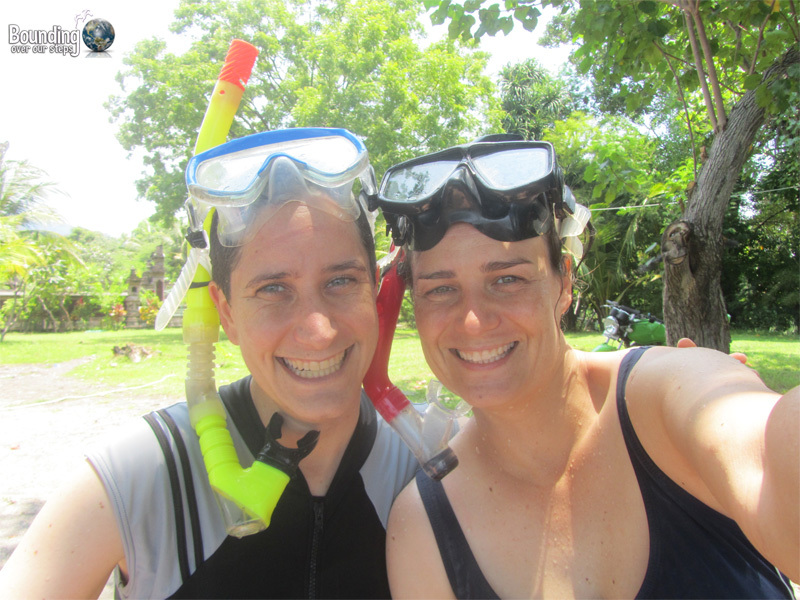 We spent some time on two of the three Gili Islands, Gili Air and Gili Trawangan, where we experienced island time, numerous sunsets and snorkeling with sea turtles. 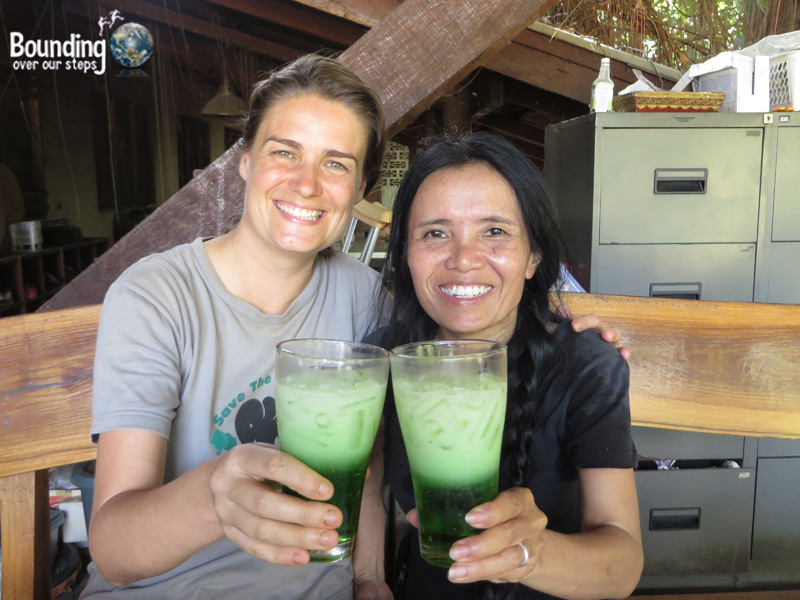 We felt lucky to be able to spend three weeks at Elephant Nature Park, where we aimed to learn as much as we could about taking care of animals, pigs in particular. 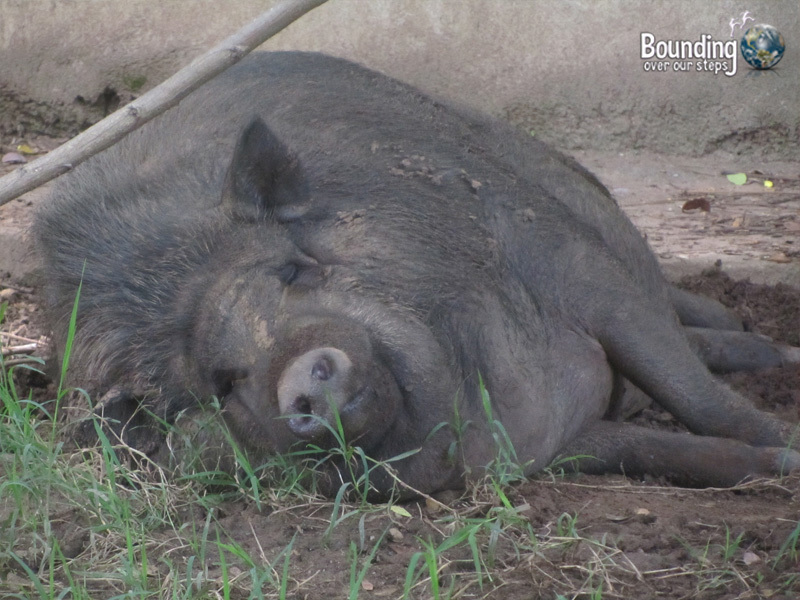 Be careful what you wish for; we ended up living with 7 dogs, 2 cats and 4 big pigs. We indeed learned a LOT and will use this knowledge in the running of our own sanctuary. One day I went to the immigration office in Chiang Mai (my least favorite place in all of Thailand) to do what I thought was a routine 90-day report, where I simply give them a copy of my passport and report my latest address, only to be told that I had to leave the country immediately in order to avoid paying 500 baht ($17 US) per day. So I found myself in Taipei the very next day. 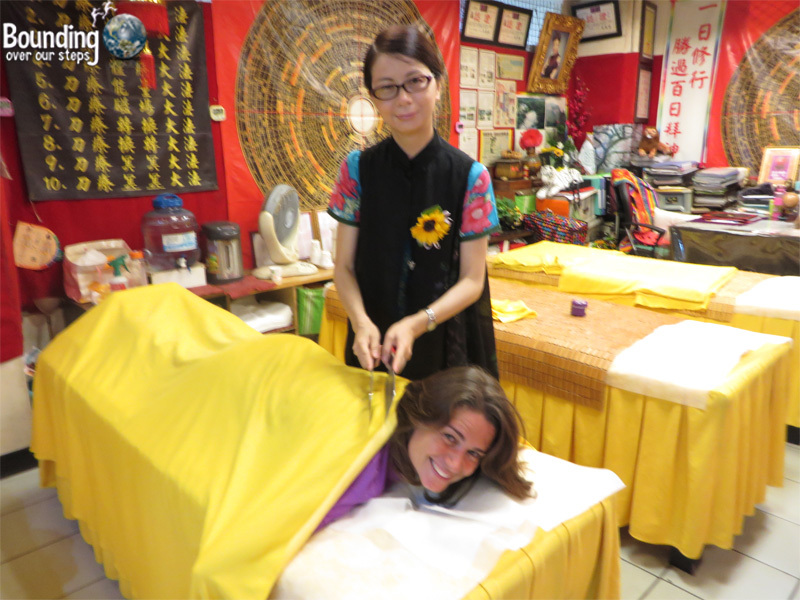 Taipei turned out to be an awesome city to visit, with so many fun and easily accessible activities, including hikes, day trips, hot springs and even a knife massage! 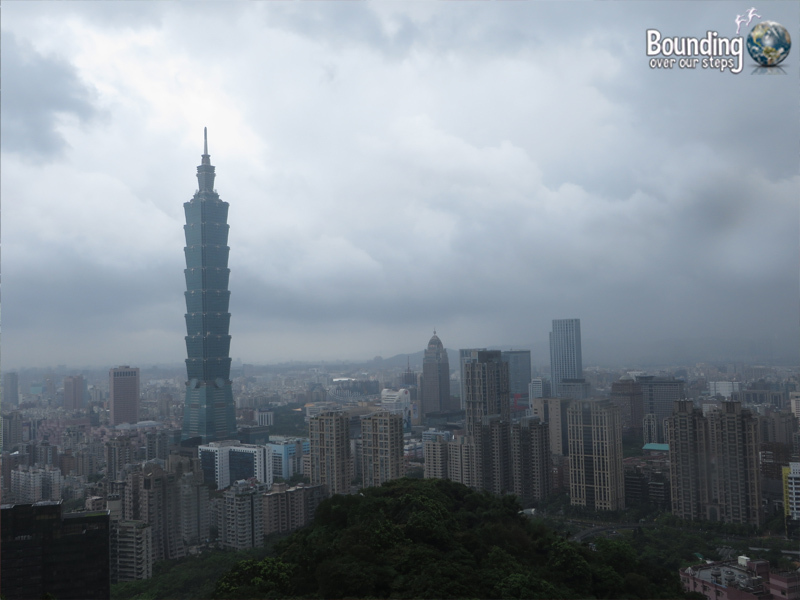 I would gladly go back to explore the rest of Taiwan in a heartbeat. Thank you to the Thai government for forcing this trip on me! We received word about Mindy’s green card interview in Bangkok only a few days beforehand and we found ourselves packing up almost overnight. Thus, began the series of goodbyes to the many friends we had made. We shipped two boxes of our stuff back home, packed our suitcases and ate our very last meal at our favorite restaurant in all of Thailand: Anchan Vegetarian Restaurant. 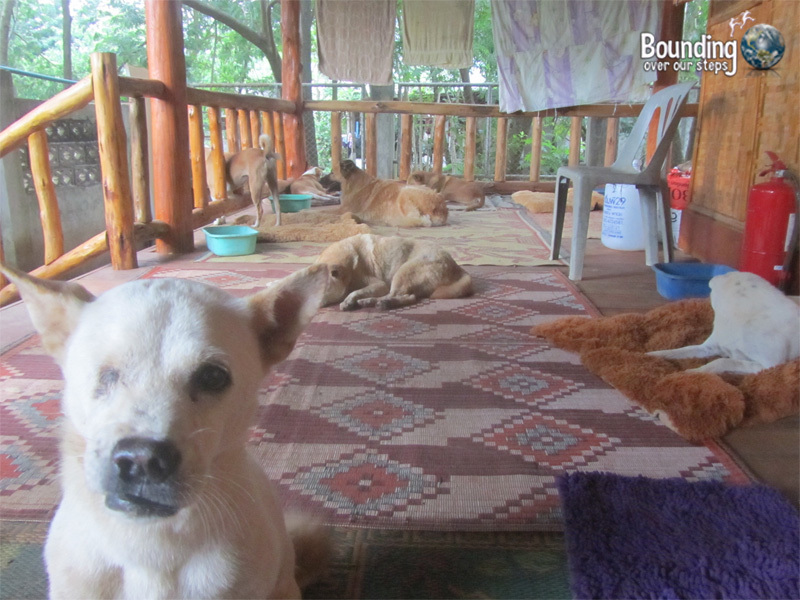 But saying goodbye to all the animals and people we had come to know and love was the hardest goodbye of all. 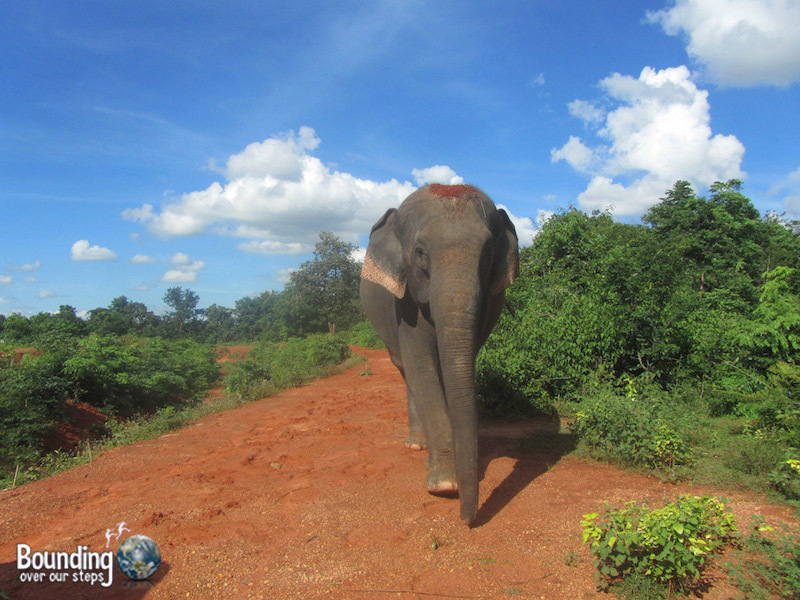 I was fortunate enough to participate in the Surin Project in the village of Baan Ta Klang in Thailand’s Surin province, where I got to help improve the lives of captive elephants. The highlights for me were walking with the elephants in the jungle and watching them foster their friendships in a local swamp, something not afforded to most captive elephants, who are often chained out of reach from each other. 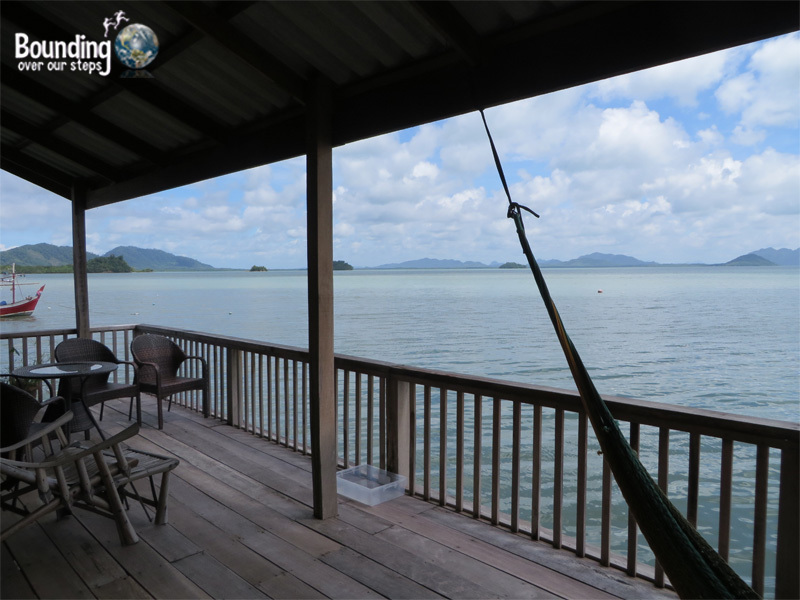 We decided to celebrate our 8th wedding anniversary on the southern Thai island of Koh Lanta, where we rented a large wooden house on stilts right on the water. We soon learned that we were to share the accommodation with bats, that we loved to watch flying out to sea at dusk and come back at dawn. 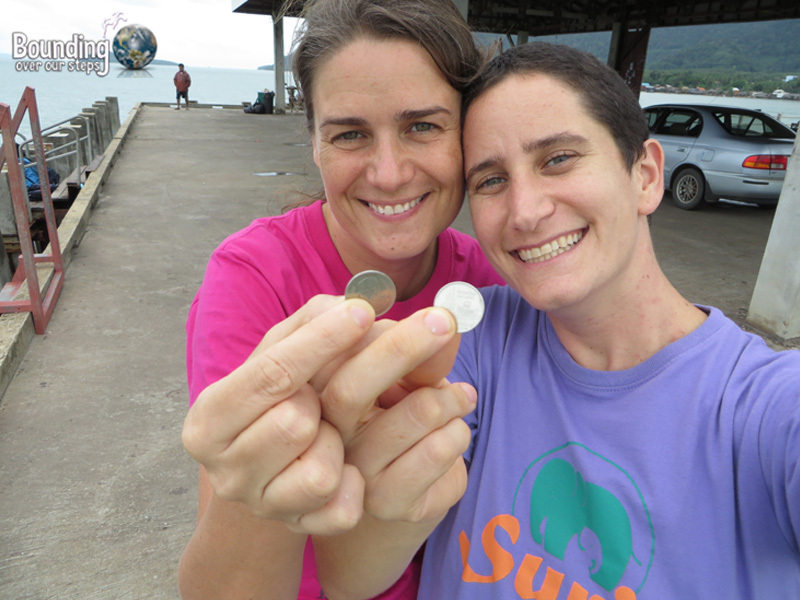 As we do every year we renewed our marriage vows and threw coins into the water taking our wishes for the upcoming year with them. Mindy and I cashed in on our good timing and our proximity to Phuket during a week when being vegan was the norm. We relished in the overwhelming amount of food choices as well as experienced some local culture, one where Chinese gods descend upon the town and take over chosen people, the horses of the gods called the Ma Song. 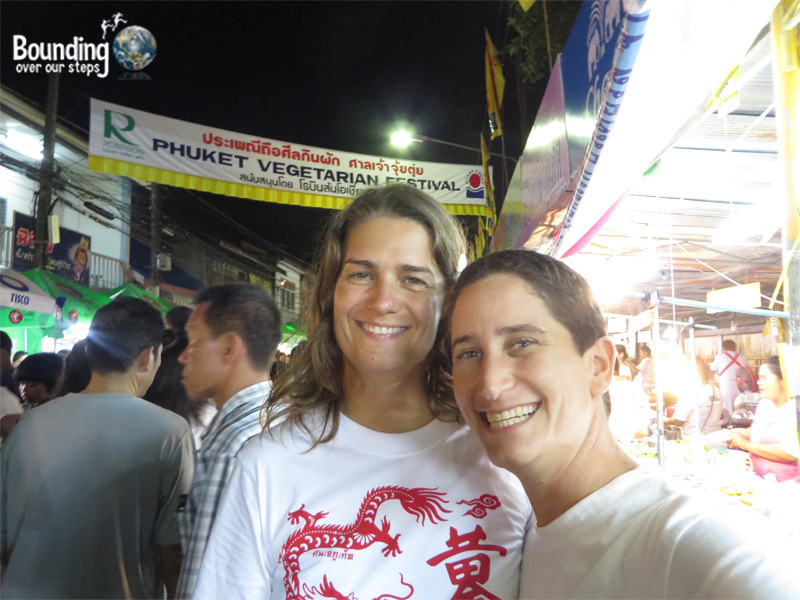 Phuket’s Vegetarian Festival turned out to be one of the most interesting festivals we have ever attended. One of the most amazing feats we accomplished this year was getting Mindy a green card for the USA, something we had been waiting to be able to do for 10 years. 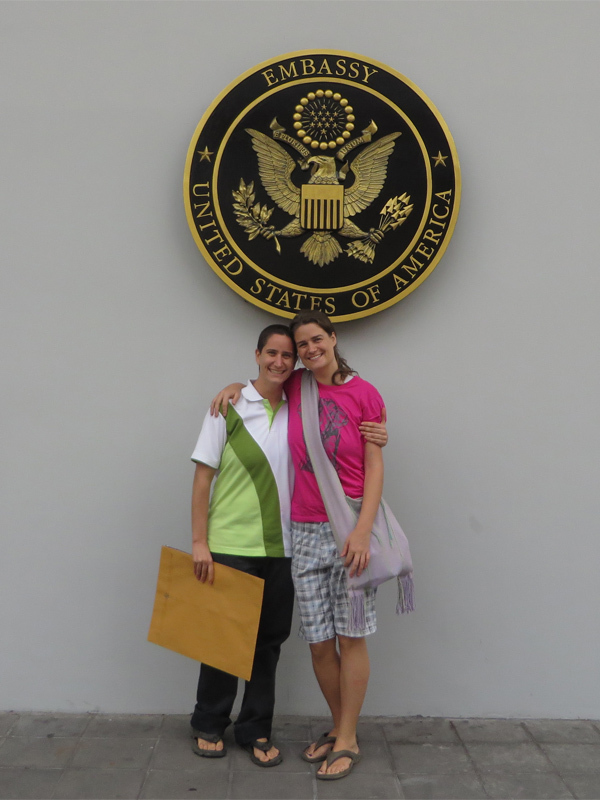 There were setbacks along the way but in the end the highlights included the officer at the Homeland Security office in Bangkok fast-tracking the application, Mindy coming out of the US Embassy in Bangkok to announce her success and when we actually crossed the border into the USA, rendering the entire process complete. After 2.5 years of living abroad, Mindy finally touched Canadian soil again and we got to spend some time with her family in the greater Toronto area before heading across the border to explore the New England states of Vermont and Massachusetts. 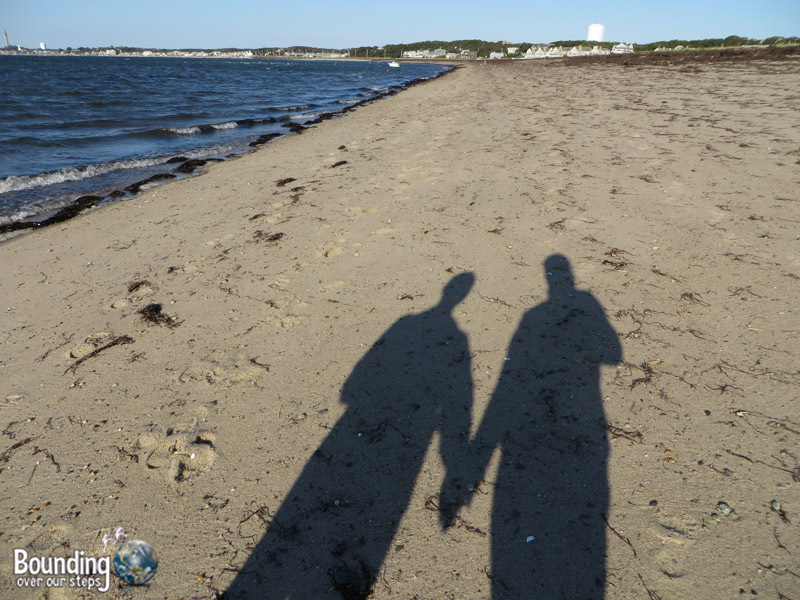 We visited Plymouth Rock and Provincetown, both having been on our list for quite some time. We have spent the last couple of months in Florida, which is a good transition back to the colder North American weather from the heat of Thailand. The next year will include traveling to my 50th country and Mindy’s 29th and 30th as well as an internship at Farm Sanctuary in upstate New York. We also plan to open a sanctuary in northern Vermont and are constantly working towards that goal, something that we are very passionate about. 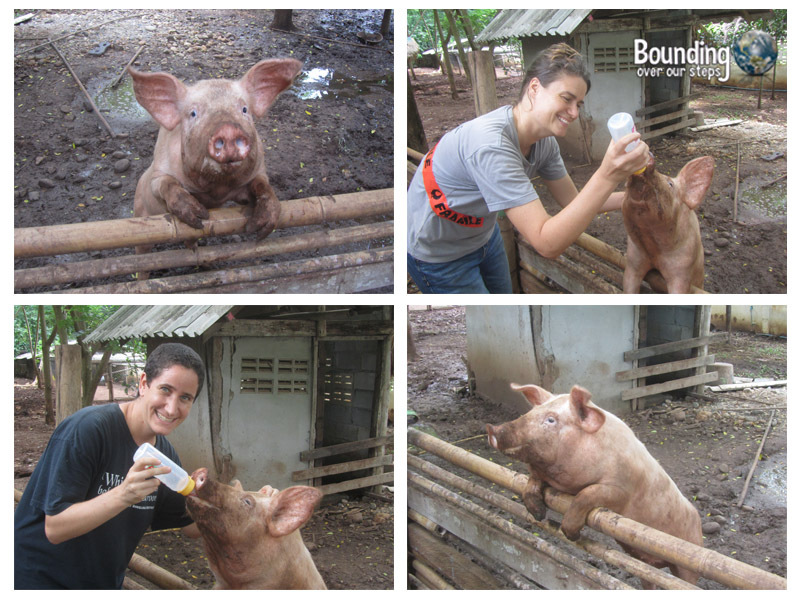 We look forward to once again enjoying four seasons and living among rescued pigs. Happy New Year to everyone and may 2015 be a fantastic year for all! Wow, what an exciting year you’ve had! And it looks like there are some big changes up ahead for you. Good for you! All the best for 2015! Wow, you guys are opening a sanctuary? That’s so awesome! Good luck and all the best for the New Year. What a year! I can’t imagine how good it must have felt to achieve so many of these goals. I’m actually from upstate New York — I hope you’ll write about your time here! What an amazing year you two. We are so happy to have met you along our journey and can’t wait to visit your sanctuary in Vermont. Looking forward to the amazing things you will achieve in 2015!!! Good luck with your plans for 2015! Opening an animal sanctuary sounds pretty intriguing! Being fresh on western soil, reading this made me cry. It made me miss the world we used to have more than I expected. I am so, so happy to have shared so many years with both of you in Thailand and so happy you are pursuing your dreams of opening the sanctuary. I look forward to our paths crossing again someday soon. Love you both.